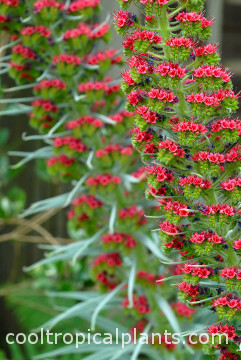 Echium wildpretii flowers, pretty as they are, sadly signify the end of the life of your plants. 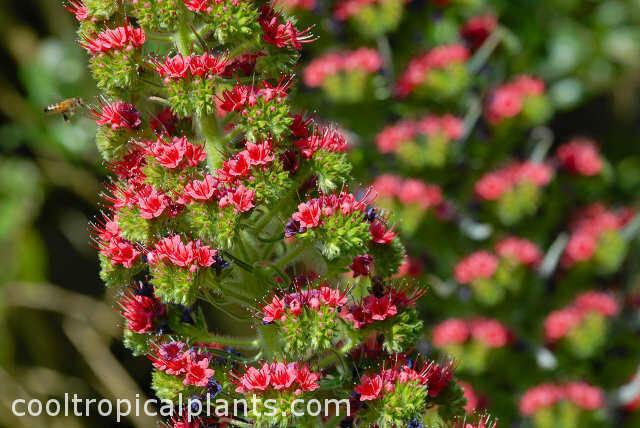 (If you are joining this page from an 'organic' source you may wish to read this page first as it covers the pre-flowering stages of the plant and the rest of this page will make more sense). 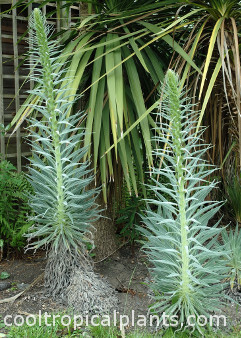 To the left: The ghostly remains of a once proud group of Echiums. To the right: A small gathering of the survivors. 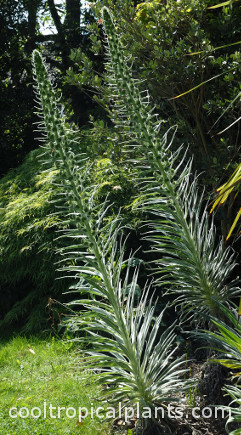 Three locations within the garden had been chosen to trial these plants. The majority survived all locations the first winter, but the second winter, still relatively mild, wiped out two of the three colonies. 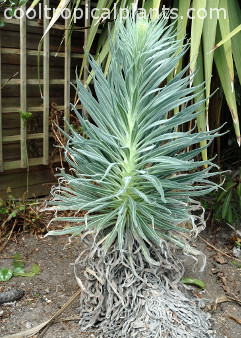 The plants that survied were planted close to the base of a group of Cordyline australis. They also recieved marginally more sun than the other two locations (none at all in mid-winter). 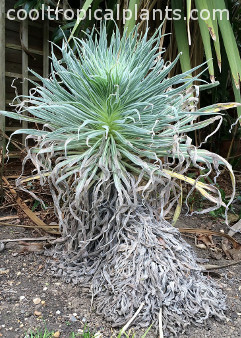 Their survival could be attributed to the umbrella effect of the Cordyline canopy. 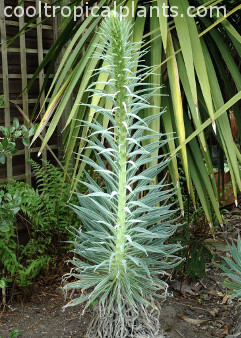 The surviving Echiums were keen to get on with job of flowering. 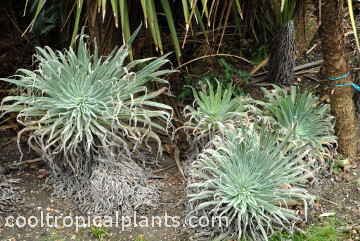 In late winter they began to elongate and soon took on a neater appearance. 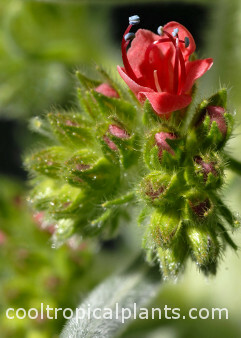 Elongation began in late February / early March with the first flower appearing in mid May. 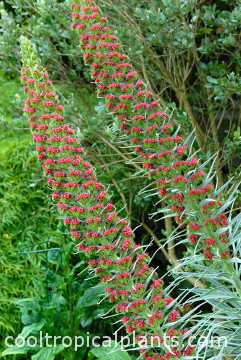 The Echium wildpretii flowers nearest the stem open first. 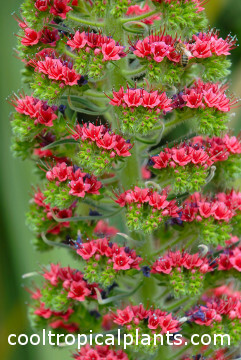 Each flower bud on the stalk opens in sequence with the whole show lasting five to six weeks. By mid June the performance is over. 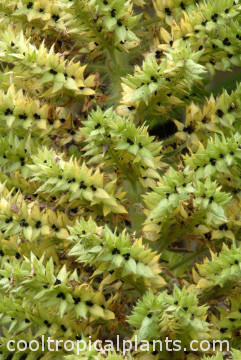 Once the seeds were harvested the plants were dug up, shredded and added to the compost heap.